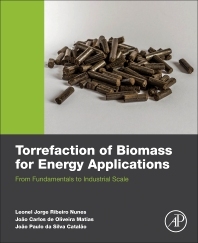 Torrefaction of Biomass for Energy Applications: From Fundamentals to Industrial Scale explores the processes, technology, end-use, and economics involved in torrefaction at the industrial scale for heat and power generation. Its authors combine their industry experience with their academic expertise to provide a thorough overview of the topic. Starting at feedstock pretreatment, followed by torrefaction processes, the book includes plant design and operation, safety aspects, and case studies focusing on the needs and challenges of the industrial scale. Commercially available technologies are examined and compared, and their economical evaluation and life cycle assessment are covered as well. Attention is also given to non-woody feedstock, alternative applications, derived fuels, recent advances, and expected future developments. For its practical approach, this book is ideal for professionals in the biomass industry, including those in heat and power generation. It is also a useful reference for researchers and graduate students in the area of biomass and biofuels, and for decision makers, policy makers, and analysts in the energy field. Leonel Jorge Ribeiro Nunes holds two B.Sc. in Geology (1995 and 2008), two M.Sc. in Hydraulics and Water Resources (1999) and Geological Engineering (2011), a PhD degree in Industrial Engineering and Management (2015), and concluded two Post Doctoral research projects about thermochemical conversion technologies at the University of Beira Interior (2016) and at theUniversity of Aveiro (2017). His professional background is supported by more than 20 years of professional experience in industry. Also developed an academic career and presently supervises or co-supervises several M.Sc. and Ph.D. students at DEGEIT – Department of Economics, Management, Industrial Engineering and Tourism of the University of Aveiro (Portugal) where is Invited Assistant Professor and Researcher at GOVCOPP. Also teach subjects related with biomass energy, environment engineering and sustainability at ISMAI - Instituto Superior da Maia (Portugal) and at Agrarian Higher School of the Polytechnic Institute of Viana do Castelo. His areas of research focus mainly in Biomass Energy in general and in Thermochemical Conversion Technologies and Biomass for Energy Supply Chains in particular. He is involved in several research projects in Portugal, Vietnam and USA and has collaborated as reviewer with many journals. He is author or co-author of more than 50 articles published in several international journals and conference proceedings. Presently supervises or co-supervises several M.Sc. and Ph.D. students at DEGEIT – Department of Economics, Management, Industrial Engineering and Tourism of the University of Aveiro (Portugal) where is Invited Assistant Professor and Researcher at GOVCOPP. Teaches subjects related with biomass energy, environment engineering and sustainability at ISMAI - Instituto Superior da Maia (Portugal) and at Agrarian Higher School of the Polytechnic Institute of Viana do Castelo. João C. O. Matias holds a B.Sc. in Mechanical Engineering (1994) from University of Coimbra, a PhD degree in Production Engineering (2003) and Habilitation for Full Professor "Agregação" (2014) from University of Beira Interior (UBI). Is Full Professor at Dept. of Economics, Management, Industrial Engineering and Tourism (DEGEIT), University of Aveiro (UA), and Researcher at C-MAST/UBI and GOVCOPP/UA, member of the Industrial Engineering and Management and Sustainable Energy Research Groups. Is Coordinator of Scientific Area and Director of PhD Course in Industrial Engineering and Management at DEGEIT/UA. His areas of research focus in Industrial Engineering and Management in general and in Sustainability, Sustainable Energy Systems, Sustainable Design and Management Systems in particular. He is involved in several research projects and he is Editor-in-Chief in a Scientific Journal, member of Editorial Board of several scientific journals, and has collaborated as reviewer with many journals and also international conferences. He is author or co-author of more than 200 articles published in several international journals and conference proceedings. João P. S. Catalão received the M.Sc. degree from the Instituto Superior Técnico (IST), Lisbon, Portugal, in 2003, and the Ph.D. degree and Habilitation for Full Professor ("Agregação") from the University of Beira Interior (UBI), Covilha, Portugal, in 2007 and 2013, respectively. Currently, he is a Professor at the Faculty of Engineering of the University of Porto (FEUP), Porto, Portugal, and Researcher at INESC TEC, INESC-ID/IST-UL, and C-MAST/UBI. He was the Primary Coordinator of the EU-funded FP7 project SiNGULAR, a 5.2-million-euro project involving 11 industry partners. He has authored or coauthored more than 570 publications, including 195 journal papers (more than 50 IEEE Transactions/Journal papers), 330 conference proceedings papers, 31 book chapters, and 14 technical reports, with an h-index of 34 and over 4900 citations (according to Google Scholar), having supervised more than 50 post-docs, Ph.D. and M.Sc. students. Prof. Catalão is an Editor of the IEEE TRANSACTIONS ON SMART GRID, an Editor of the IEEE TRANSACTIONS ON SUSTAINABLE ENERGY, an Editor of the IEEE TRANSACTIONS ON POWER SYSTEMS, and an Associate Editor of the IET Renewable Power Generation. Since May 2017, he is the Corresponding Guest Editor for a Special Section of the IEEE TRANSACTIONS ON INDUSTRIAL INFORMATICS. He was the recipient of the 2011 Scientific Merit Award UBI-FE/Santander Universities and the 2012 Scientific Award UTL/Santander Totta, in addition to an Honorable Mention in the 2017 Scientific Awards ULisboa/Santander Universities. Moreover, he has won 4 Best Paper Awards at IEEE Conferences. I recommend that book which shows good review of current status of biomass torrefaction process.